Exotics Rally has many exciting sponsorship packages available to help you grow your business. Please email us for more information. 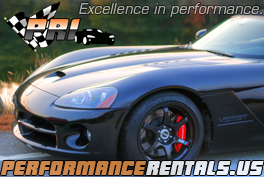 Performance Rentals offers unique sports car rentals to discerning customers who appreciate true drivers' cars. Our in-house engineering expertise allows us to provide a fleet of uncompromising and iconic vehicles that can't be found at any other rental company: a supercharged, 750-hp Dodge Viper (the fastest rental car in North America), a track-tuned Roush Mustang, a turbocharged Lotus Elise making over 300 hp, and lots more, all with manual transmissions and custom high-end audio/nav systems. There's nobody else like PRI serving the customer who knows what truly makes a car fast, unique, and fun! Exotics Rally is proud to present the latest addition of our web store. 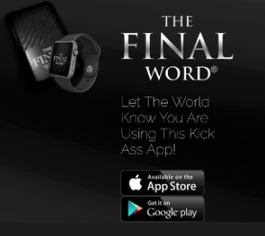 Please browse around and check out the awesome items we have adorned with the ER logo! Aero Tec Laboratories was founded in 1970 as a design and testing facility for "flexible composite" materials. Shortly thereafter, the firm broadened its scope to include the actual fabrication of end products from its own outstanding fiber/elastomer composites. From ambitious beginnings in engineered inflatables and crashworthy fuel cell bladders, ATL has further spread its technologies into compensators, accumulators, potable water vessels, self-healing ballistic tanks, space containerization, bulk storage bladders and scores of similar endeavors. The common thread among ATL's products is the seeming dichotomy of remarkable toughness and durability coupled with extreme light weight, high flexibility and compactness. Over its generation of growth, ATL USA has assembled an enviable legion of agents and distributors, plus a sister company in England, ATL UK, and a range of over 100 flex-composite materials. Today, ATL enjoys sales of both "catalog" and "custom" devices to prestigious clients in the world's top 40 industrialized nations. We would like to welcome you to The New York Center for Cosmetic Dentistry, New York's Premier Smile Design and Smile Restoration Center. We have created smiles that are some of the most celebrated and photographed of our times. At The New York Center for Cosmetic Dentistry, we treat all sorts of people from regular folks to celebrated folks, yet we do not see any "ordinary" people. Each person is extraordinary in his or her own way. Each moment of time, each appointment, is valued as unique. Each client is special, and brings her/his singular image aspiration, cultural bias, hopes and dreams of a better smile. It is our collective generosity of spirit in the office that enables us to maintain an "expectation of excellence" each and every hour of each and every day. Every one of our patients/clients has made a choice to entrust us with their complete cosmetic makeover or mild enhancement, and we honor that choice. Our memorable smiles have adorned over five hundred magazine covers, have appeared in countless films and TV episodes, have been seen delivering the news around the world and have sold billions of dollars of products. Please ask for a complimentary consultation with Dr Emanuel Layliev to receive the Exotics Rally special. 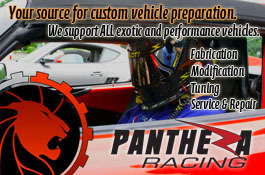 Panthera Racing is your one stop solution to all things automotive. We do everything from routine maintenance to fully custom fabrication, electronics, rally and race preparation, and everything in between. We specialize in exotic, rare and obscure vehicles. Need someone to work on a Renault or Lancia state-side? We've done it. Want a turbo system for a Lambo or Ferrari that costs less than the GDP of a small country? Give us a call. Our attention to detail is second to none, as any of our customers will attest to. 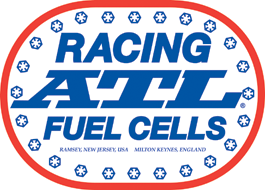 We do in weeks what takes others months and offer a technical competency on par with most professional race teams. We're located in Hillburn, NY, minutes from North Jersey and Harriman State Park. We serve the entire tri-state area and can arrange to pick up and deliver vehicles anywhere from Long Island to NYC to Philly. 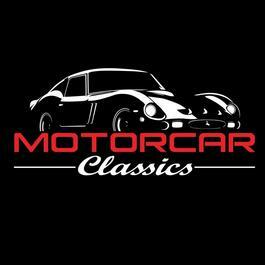 Motorcar Classics specializes in the sale, trade and consignment of vintage and late model high-line, exotic and other collectible cars. Our collection features both vintage and contemporary exotic, luxury and collectible automobiles from such famed marques as Porsche, Ferrari, Lamborghini, Aston Martin, Mercedes, BMW, Rolls Royce, Bentley, and many others. Among American automobiles we favor both stock and modified examples from the 1930s to the most recent limited edition performance cars. We carry the very best examples of cars that have either been beautifully restored or low-mileage, pristine original cars. Additionally, Motorcar Classics offers premier luxury car storage services. CopyRight © 2019 Exotics Rally. All Rights Reserved. Legal Info & AUP.